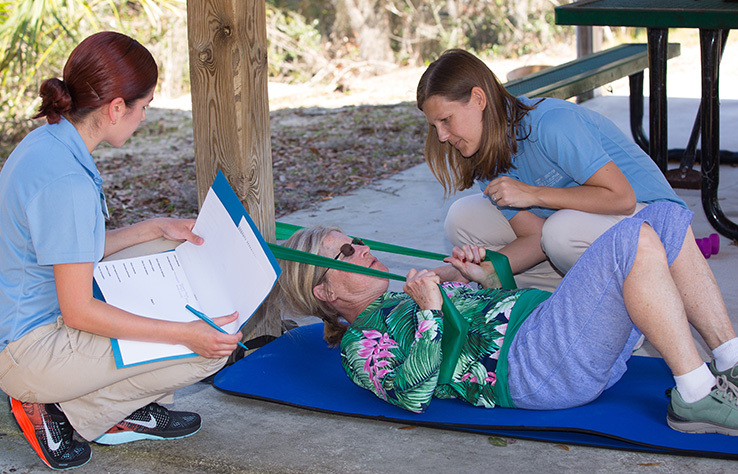 Throughout the spring trimester, Master of Occupational Therapy students in the Level IB Fieldwork course on the St. Augustine campus are getting out into the community as the hosts of Fitness in the Park. 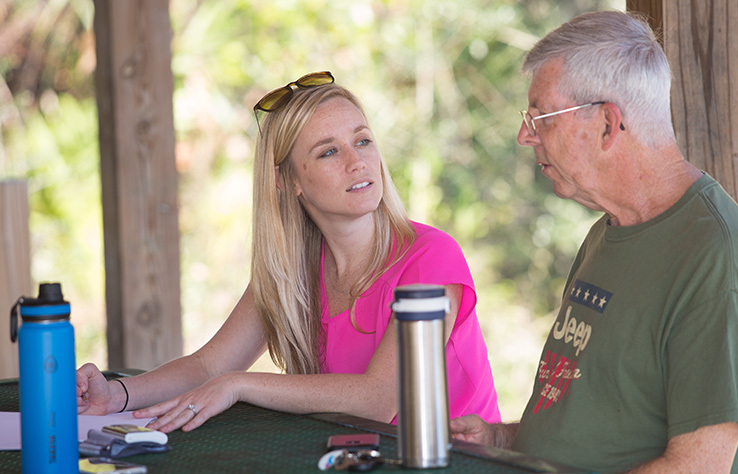 The free, 12-week program, organized with the St. Johns County Parks & Recreation Department, sparked so much interest that it quickly had a waiting list. Faculty members Kayla Collins, MOT, Kelly Layne, OTD, and Kaitlyn Cremer Smith, OTD, work with the students as they assist the clients in developing personalized fitness programs to achieve their individual goals. Canopy Shores Park, where the sessions are held, is an ideal location because of its 1.5 mile paved path and multiple exercise stations. Student Frances Sotomayor (left) and faculty member Kayla Collins work with a participant whose goal is to increase core strength. 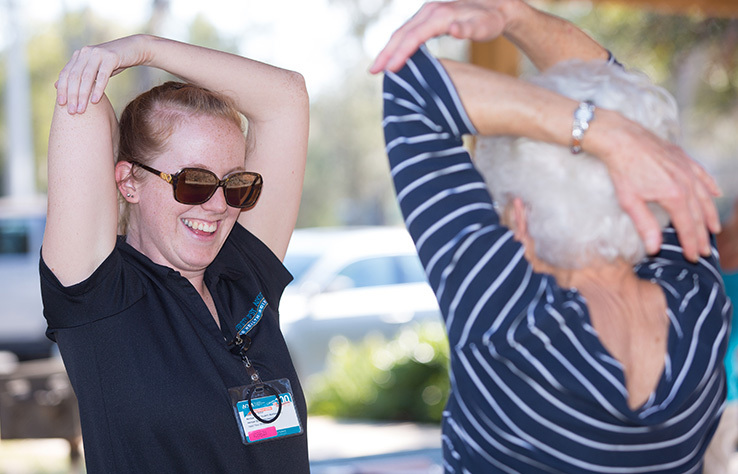 Amy Butler, student, encourages participants to address their flexibility and reminds them of the importance of stretching before and after exercise. 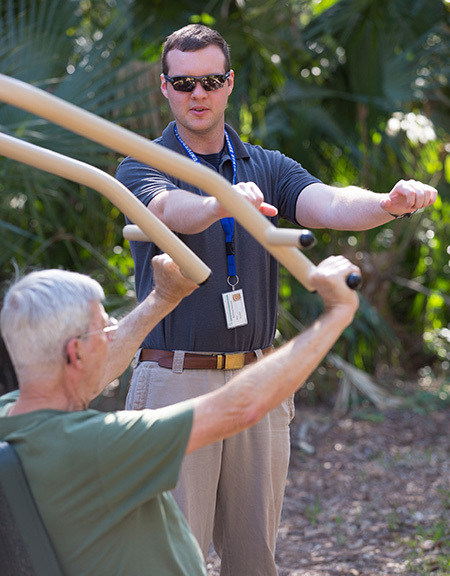 Matt Nuessle, student, encourages participant Jerry Zinn to use proper form to protect his joints from injury while exercising. Faculty member Kaitlyn Cremer discusses a participant’s progress toward goals and documents his response to the session.